For years, the Television Critics Association Awards have been the Emmys’ cooler older sibling, the television award ceremony that zigs when the other guy zags, mostly because it’s voted on by people who actually watch tons of television. 2015’s ceremony was no different, with the TCA handing out awards to almost none of last year’s winners and to shows too cool to make the Emmys’ cut. The Program of the Year award went to Empire, the buzziest, most watched new show of the year, which is a coup for the show considering it’s been more commercially successful than critically praised. 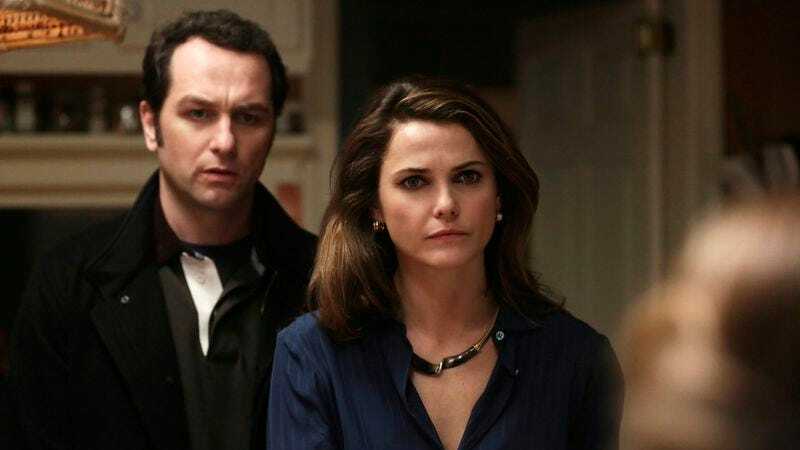 Outstanding Achievement in Drama went to The Americans, offering cold comfort to a show criminally overlooked by Emmy voters. Inside Amy Schumer took Outstanding Achievement in Comedy, suggesting Schumer also gives television critics a reasonable chub. Schumer also won for Individual Achievement in Comedy, while Mad Men’s Jon Hamm landed the Individual Achievement in Drama prize. Hamm was on hand to accept his prize at the ceremony, which was hosted by James Corden of CBS’ Late Late Show. Homer Simpson also made an appearance at the TCA Awards, not in a “creepy dude in a suit at Universal Studios” kind of way, but in an animated short in honor of Career Achievement Award honoree James L. Brooks. The biggest honor of the evening arguably went to Starz’ dueling-directors reality show The Chair, which not only won Outstanding Achievement in Reality Programming, but had the award presented by The A.V. Club’s own Erik Adams. Dreams come true!